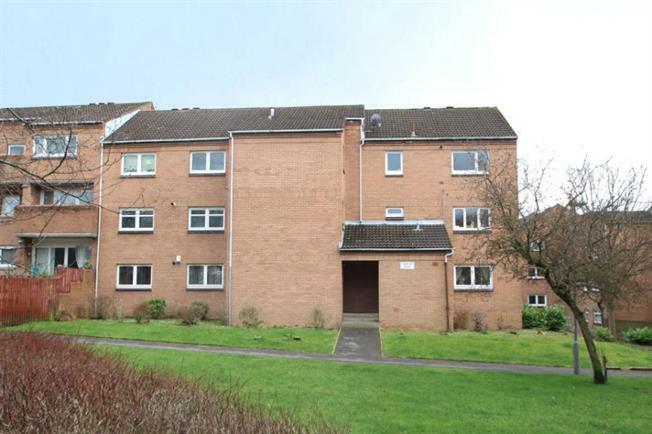 3 Bedroom Flat For Sale in Glasgow for Offers Over £75,000. Well positioned within this popular residential area close to Alexandra Park and train station is this 3 bedroom 1st floor flat, which offers well proportioned, flexible family sized accommodation. There are attractive communal garden grounds surrounding the development and is also ideally placed for immediate access to the M8 for those looking to commute to Glasgow, throughout the central belt and beyond. Accommodation comprises: Entrance hall with ample storage. Lounge with glazed doors to the balcony. Kitchen. 3 bedrooms. Bathroom. Communal gardens. All-in-all this is an excellent buy for those looking for ample sized accommodation within a popular residential area. Early viewing is highly recommended.